Provence Villas Selection, your holiday home specialist in South of France offers cottages, villas and countryhouses with pool, all visited and selected by us. Secure online booking. This farmhouse is definitely a great place. In the heart of the Luberon, but within the Aix-en-Provence district, you will relish the sun-drenched local produce and discover the regional cottage industry and expertise - and don't forget to visit unmissable places such as Gordes, Lourmarin and others. In a charming sea side resort beloved of French actor Fernandel, with its marina and its quays lined with restaurants, this prestigious luxury seafront property, with direct sea access from the garden, is the ideal place to spend a dream holiday in complete peace and quiet. An ideal geographical location for this property offering a real holiday atmosphere with its thatched umbrella near the pool. From here, easy to organize visits and discover the wonderful Provence with its many attractions. For sure, you will not get bored! Sheltered by the mountain range of the southern Luberon, this property is ideal for those seeking calm and total privacy. But what about to improve your knowledge in oenology ? There are Guided tours across the vineyards with final tasting proposed in this area, around the hilltop village of Cucuron. Also, it is recommended going to discover the enchanting setting of Lourmarin, an emblematic Luberon village, with its Renaissance château. Formed around the Var river, the Haut Var is a beautiful area north of the A8 motorway which crosses the Var West to East. Meeting place between a lush and sunny nature and a rich heritage of history and traditions, the Aix-en-Provence is also an ideal base for visiting all the Bouches-du-Rhône . You are looking for a holiday home rental in Provence, the French Riviera or Languedoc ? Provence Villas Selection carefully selects quality holyday homes in Provence, Côte d'Azur and Languedoc-Roussillon. 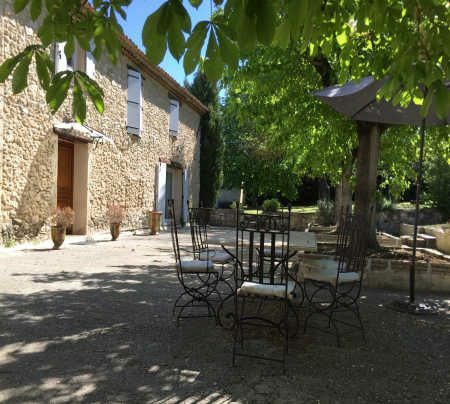 With our more than 15 years experience, we only work with quality owners who intent to welcome you in their house in such a way that you are going to spend great and restful holidays in order to fully enjoy one of the nicest regions of France.